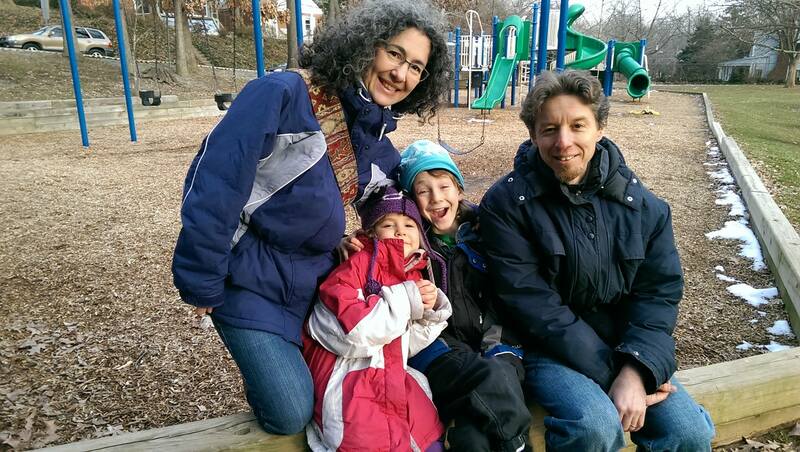 The Meitiv Family in Montgomery County Maryland is reportedly beginning litigation against Maryland CPS and possibly Montgomery County Police as well, for the unlawful seizure of their children this past weekend. As we have seen in so many other cases we have covered here at Health Impact News, there were no criminal charges filed against the parents of Meitiv children, and the alleged "victims" of parental abuse or neglect were incarcerated by force, in a total violation of their civil rights. The children were walking home from the park when police and CPS detained them for hours, not even allowing them to call their parents. Danielle Meitiv, the mother, has posted an article on her Facebook Page showing that the neighborhood they live in has recently been voted one of "The 10 Most Caring Suburbs In America," and yet she now fears to allow her children to walk alone in their neighborhood due to the threat of kidnapping by local police and CPS. Such is the sad state of affairs in the United States of America today, where parents fear having their children kidnapped by government authorities more than they fear other criminals who could harm their children. Dr. Lawson, you will live long. I was diagnosed with temporal lobe epilepsy when I was 12. I'm now 33, and got cure 31. Anticonvulsant medications kept my seizures under control for some years but I still experience symptoms of it often until I meet with you and you assured me of permanent solution to my long-standing problem. I was well aware that many were not so fortunate. I knew I'm in the company of millions of epilepsy patients, though, who daily contend with the side effects of these medications. I was frequently apologizing to family, friends, and students for forgetting words and trains of thought . This “brain fog,” as I’ve come to call it over the years, is an obvious biological response to chemicals meant to slow neural activity. One particular aspect of my life that the brain fog has affected has been my creativity. Along with many people with epilepsy who are drawn to the arts, I’ve always wanted to be a creative writer. Some neurologists have said that those with temporal lobe epilepsy in particular have a “disorder” called a hypergraphia, a nearly uncontrollable compulsion to write. Whether I have a disorder or not, I know only that I feel a need, a calling, to write and that the side effects of my medications have inhibited my ability to find the right words. My son Michael Mirai was born with a rare type of epilepsy called Dravet syndrome, also known as Severe Myoclonic Epilepsy of Infancy (SMEI). This is a rare and catastrophic form of intractable epilepsy that begins in infancy. Individuals with SMEI suffer from intellectual disabilities as well as severe behavioral and development delays. All effort made to be sure he did not live his life miserably with deadly disease proof abortive. I have carried him to different Doctors, use different prescription drug all to no avail. I am glad you are filing suit against CPS they have a time and place however this was completely uncalled for and your children should not have been treated that way at all. What is wrong with children playing at a park by there house? It truly is a shame that the police acted irresponsiblity with your children. I have a bad taste for CPS because I was in a custody battle and my ex husband accused me of all kinds of awful things to my daughter and she was scritinized and tramatized because of it and the case was tried for 2 days in children dependence court and was dismissed and it was ALL dumbed up charges with the help of my exhusband and his attorney. So I hope and pray that you win this battle against CPS. elnunal, I KNOW BETTER, My family has been fighting Luzeren county PA for over 5 years, They are an out of control agency that belief they are above the law. They have manufactured evedence, signed documents with my daughtes name, assulted my daughter had one of the kidnapped children under CPS coustody raped and thru it under the carpet, flat out leid in court, don't try to say how good CPS is, I don't want to be me at the end of time ansewering for me in front of God, Let alone what these people do in CPS to the families and the children they kiidnap!!!!! Crazy idea here. How about the police who patrol the neighborhood spend some time out of their vehicles and walk the beat? They can then get to know the people. More specifically, the families, parents and children. This way, they don't swoop in like a bunch of strangers (more like predators) not knowing anything about anyone. Child abuse is a crime, That is why CPS goes into civil court, if they went into Criminal court, you would have to been charge and given a real defence attorney, NOT one of CPS's lawyer that will rep CPS and NOT you, You two will be fighting an up hill battle as CPS thru the years of kidnapping children have erected laws around them selves to protect them from going to jail. and if you or I did what CPS did we would be in jail yesterday. CPS is a civil service org, If you try to sue CPS as a hole, you will be shot down in flames, Look into sueing them as an indivigual by name, get it out of so called family court, you will not recive justice there, Fed court might be better if you have the money.